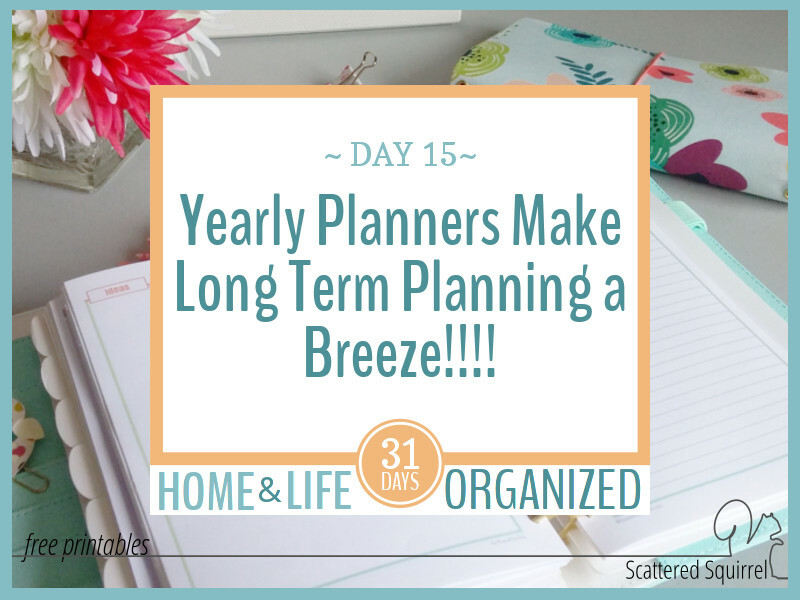 Yearly Planners Make Long Term Planning a Breeze!!!! Many of the planner printables I’ll be sharing over the next few days are updates of currently printables. I know that many people like to have their planner pages match (I’m one of them) and I wanted to make sure that there were some that matchted the new colours of the 2017 Calendars. 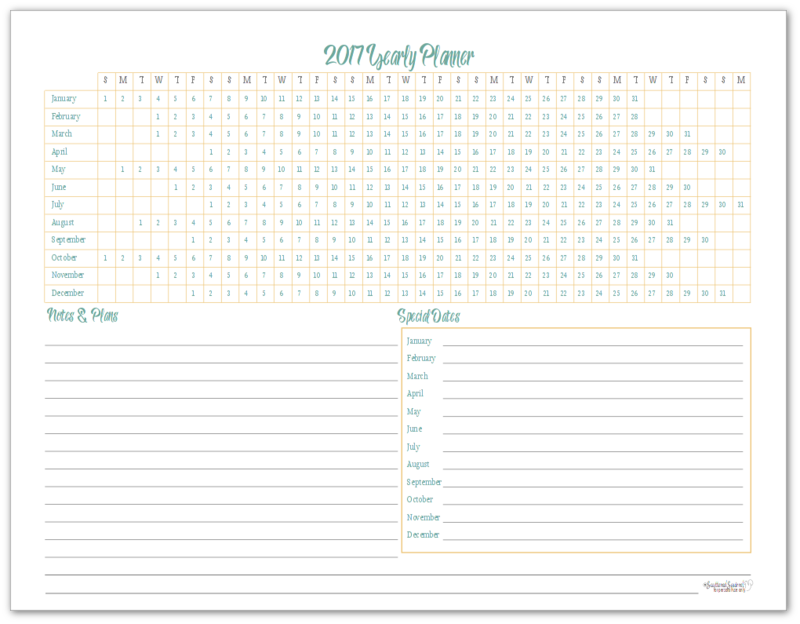 However, there are few new planner printables I’ve been playing around with, and I’m excited to be able to share them with you. Today’s printables are the first of those. I’m calling them yearly planners. colour-code different appointments or events so you can quickly see how full your schedule is. I’m sure there are more ways to use them that I haven’t yet thought of. Feel free to chime in in the comments if you have another use for them. 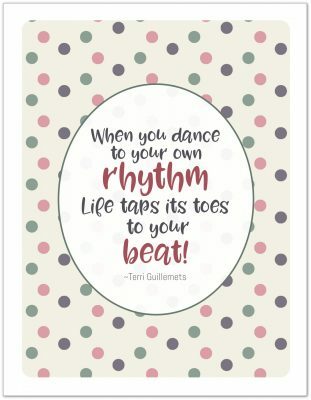 Like all the printables, I tried to keep these ones simple and easy to use. The grid section is where most of the planning or tracking action happens. You can highlight, circle, or cross out boxes depending upon your needs, and see at a quick glance which months are really busy and which aren’t. If you opt for using this a habit tracker you can easily see how well you’re doing or if you need to make some changes. My thoughts behind the bottom section were that it would afford you the room to be flexible. You could use it to create your colour-coding legend, make notes about upcoming events and/projects for the year, or whatever else you might want to include there. I also included a spot where you could note special dates each month. You could use this section for birthdays and anniversaries, or for vacation days, project start dates… whatever you want really!! This is the time where I normally share the half-size version, but I opted not to make one for this printable. I did try, but the grid section ended up being very squishy and in the end, I wasn’t sure it would be usable for anyone. The thing about the yearly planners is that they still fit a half-size planner. I’m putting a couple into my planners. Just punch one side and pop into your planner. Fold the excess in so the unpunched side lines up just before the rings or discs and you’re good to go. They will stick out a little bit, but it shouldn’t be too bad. You can also add a tab to the fold and use them as dividers if you want too. Every time I introduce a new printable I always wonder if I’m the only one who will use them. And I always love to get feedback, see what I can to do improve them for you next time. 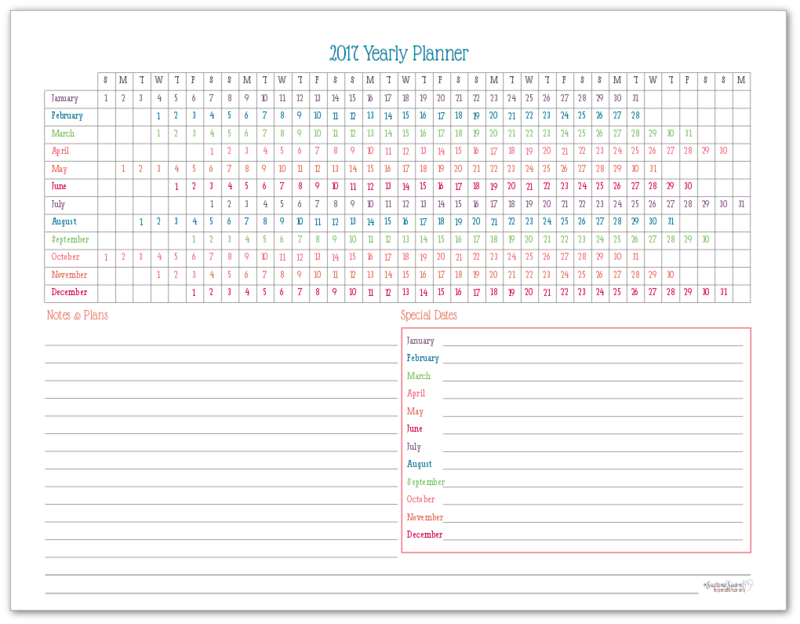 I would love it if you’d weigh in down below in the comments and let me know what you think about the yearly planners. Will you find them helpful? Would you like to see more varieties? I want to hear from you! These are wonderful, Alli! Thank you for all of your hard work. i love these yearly planner/habit trackers! Thank you! These look great. Thanks! BTW I plan to go ahead and shrink it down to a 1/2 size — small but will still give me the overview I need. That sounds like a neat idea. If you get a chance I’d love to hear how that’s working for you. Btw,which paper size i should use for these yearly planner? Thanks so much Ellen. I designed them to fit on regular US Letter paper. I hope that helps. Have you created a 2018 version of these yet? I can’t seem to find it using the search feature or in the printables library. Thank you for creating all these wonderful printables. I have been using them for years and have not come across any that are more useful than yours! The yearly ones for 2018 are coming, I just haven’t had a chance to finish them yet.